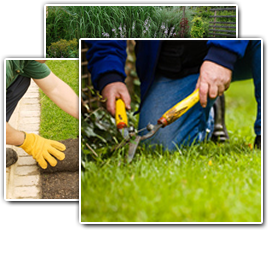 It is no surprise that Richmond homeowners spend a great deal of time, effort and energy into developing their landscaping over time, with the implementation of trees. They offer so much to your property. Trees provide shade, and help clean air and, simply put, add to the rich visual aesthetics that you are working so hard to create. So, the concept of tree removal seems strange; why remove trees when anyone else would be working so hard to add trees. Yet, sometimes, there is no way around this and one or more trees must be extracted from your well-planned landscaping. Of course, the most obvious reason for tree removal is that one or more trees on your property has died. This poses a threat to the rest of the property and it is better to have them removed before waiting for them to fall. Or, maybe the tree is not quite dead yet, but it is unhealthy and the diagnosis for recovery looks bleak. Removal is the best alternative, as opposed to waiting for other trees to fall ill or for the one that is sick to fall, taking anything in its path with it. Ultimately, the goal of letting a tree grow is to let it grow big and healthy. Unfortunately, sometimes that tree becomes too big. It can encroach upon your home or get in the way of other aspects of your property, especially additional structures such as your shed. You may be planning to remodel your house and add on a room, or an outdoor living space. In that case, the only thing standing between you and the renovations of your dreams, are some trees taking up valuable real estate. Even the root system can begin to wreak havoc on your home, from underground. The roots will tear away at your plumbing, uproot your walkways and even post a threat to the structural integrity of your foundation. Keeping trees trimmed and manageable is one way to help prevent many of these scenarios from happening. Yet, the bottom line is that, at some point, you are probably going to require the aid of a professional tree arborist to deal with your need for tree removal service. SS Grading is the landscaping expert to count on, for your tree removal service work.